The Fusion Walnut Chair Cream is a contemporary design with plenty of rustic charm and personality. Versatile and original, the Fusion is sure to excel in your home. Exuding a classic beauty, cream faux leather upholsters the seat and backrest, which are both cushioned throughout. Encompassed by a bentwood shell, the backrest incorporates two comfortable armrests, complete with piping and zigzag stitch detail. 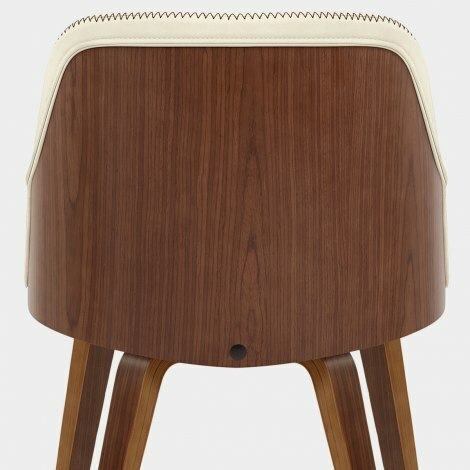 A warm walnut finish creates a nice contrast with the seat, and is present on both the rear of the backrest and the bentwood legs. Tapering to the floor, the four legs offer a strong frame and each one includes a discreet protective floor pad underneath. "Chairs lend themselves perfectly to our modern kitchen"
It was a good experience. It is a good comfortable chair. 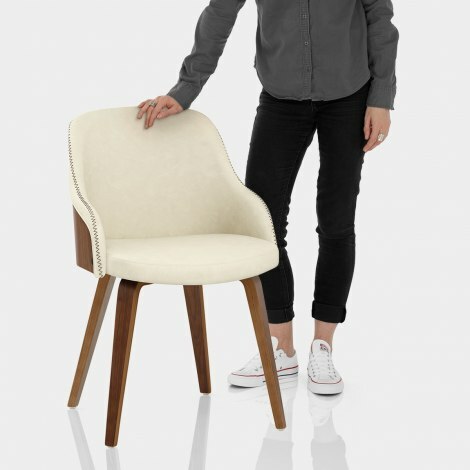 Lovely comfortable chair with some design flair unlike all these tall backed dining chairs that everyone sells and a fair price. I ordered three chairs , immediately I loved the look and ordered a fourth. The chair was batch matched, making sure of a perfect match. The person on the other end of the phone was more than helpful. The chairs lend themselves perfectly to our modern kitchen. Certainly. I would use Atlantic again.